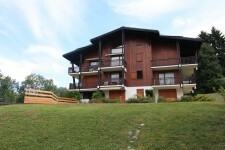 1 bedroom ski apartment for sale in Megeve, peaceful position, great views, terrace, covered parking. Megève is the epitome of rustic chic, yes you heard it here first, and is heaven for skiers who like beautiful scenery and designer interiors alongside their skiing whilst having the possibility of being properly looked after in the quality establishments that are found in Megève. With 4 and 5 star hotels, beautifully built chalets and wonderful restaurants both on and off the mountain, it sets the scene for those who really appreciate the finer things in life. Megève's attracts plenty of 'beautiful people' with their fur coats and happy wallets - happily, you don't need either to enjoy it. Quiet streets wrap around the quaintest town square you’ll ever see and it all oozes French charm. There is a marked predominance of upmarket clothes shops and restaurants. Although it might be a little quiet at times, there’s a wealth of events and activities to keep visitors happy, relax and enjoy. Megève’s proximity to Geneva airport, just over an hour, makes it very convenient and suggests that you might meet a lot of holidaying Europeans throughout the season but in fact during the week the resort is fairly quiet as many use the resort over the weekends, and it scores highly as a long weekend ski destination whilst leaving the slopes clearer for those who book in for the week. The Megève ski area boasts 300 kilometres of marked trails, served by 81 linking lifts offering extensive terrain for all levels of skier. The resort is served by a modern, high-speed lift system that ensures a quick ride to the top. With an average of 200cm of snow falling every year, the trails are well covered. On the occasion when Mother Nature doesn’t provide enough snow, there are more than 175 snow cannons to make extra. Two snow parks and a half-pipe are available for those who like to perform tricks on their skis and snowboards. 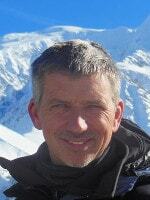 However due to its height and sunny slopes the season is shorter than many higher resorts. It would be very hard to get bored in Megève as the area it covers is enormous, stretching from St Nicolas de Véroce to the small village of La Giettaz. There are also a lot of off-piste possibilities and plenty of powder fields back to the spreading village. Since opening in 1913, the resort has played its part in the development of the sport of skiing and regularly hosts World Cup races, one of the things that first attracted the jet set here. It is a beautiful place all year round, very lush and green and offers an active summer season as well. The mountain restaurants are such that rushed lunches are rare, you’ll want to take your time and savour the produce and the restaurants which serve snow lovers during the winter become havens for those long relaxed, sunny lunches that we all love in France.